Revelations from a Fukushima cleanup worker-turned-whistleblower have exposed the plant’s chaotic system of subcontractors, their alleged mafia connections and the super-exploitation of indigent workers doing this dangerous work. The allegations, contained in an investigative report by Reuters, have also exposed deeply-rooted problems within Japan’s nuclear industry as a whole. In the report, detailing the everyday realities of workers at the stricken facility, Reuters interviewed an estimated 80 casual workers and managers. The most common complaint voiced was the cleanup effort’s utter dependence on subcontractors – which it is alleged endangered not just workers’ rights, but also their lives. Tetsuya Hayashi, a 41-tyear-old construction worker by trade, applied for a job at the stricken Fukushima Daiichi nuclear power plant, after he suspected that the plant was in deeper trouble than it was willing to admit. The $150 billion cleanup effort, which is expected to last several decades into the future, has already required up to 50,000, mostly casual workers. However, Hayashi only lasted two weeks on the job, as it became apparent that the vast network of subcontractors involved in the cleanup efforts could not care less for his rights (or his health), while Tokyo Electric Power Co (TEPCO), the plant’s operator, was doing little except giving subcontractors a slap on the wrist. 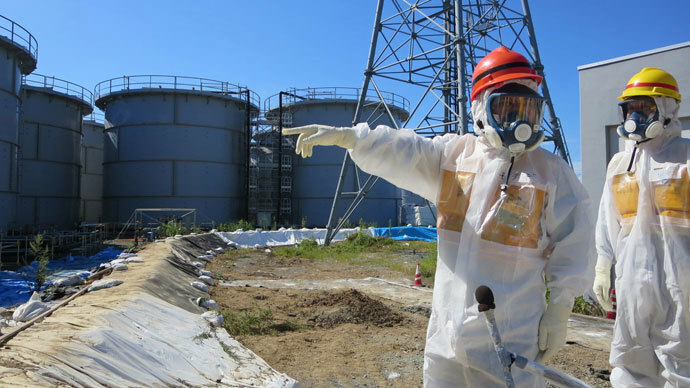 Hired to monitor the exposure to radiation of plant workers leaving the job during the summer of 2012, Hayashi was assigned to the most bio-hazardous sector and given a protective anti-radiation suit. However, even with the suit on, we exceeded his safe annual radiation quota in less than an hour. The subcontractor who hired Hayashi was not following nuclear safety rules, according to exposure guidelines by the International Atomic Energy Agency, Reuters reported. Furthermore, after Hayashi’s first two-week period of employment, he suspected that his passbook, a document showing the extent of a worker’s exposure to radiation, had been falsified by his employer, RH Kogyo, to reflect that he had been hired by a company higher up on the contractor food chain. The passbook shows that Suzushi Kogyo employed him from May to June 2012, while another firm, Take One, employed him for a brief 10 days in June. The truth was that RH Kogyo had given him a one-year contract. "My suspicion is that they falsified the records to hide the fact that they had outsourced my employment," Reuters reported Hayashi as saying. The above was the start of his troubles. "I felt cheated and entrapped…I had not agreed to any of this," Hayashi told the news agency. After complaining to a higher-level contractor, Hayashi was fired. When he complained to labor regulators, his plea went unanswered for a year. He landed another job at the plant, building a concrete foundation for the cooling tanks used to hold nuclear fuel rods. The job was meant to pay $1,500 a month, but a third of his earnings were skimmed off by the subcontractor, Reuters cited him as saying. 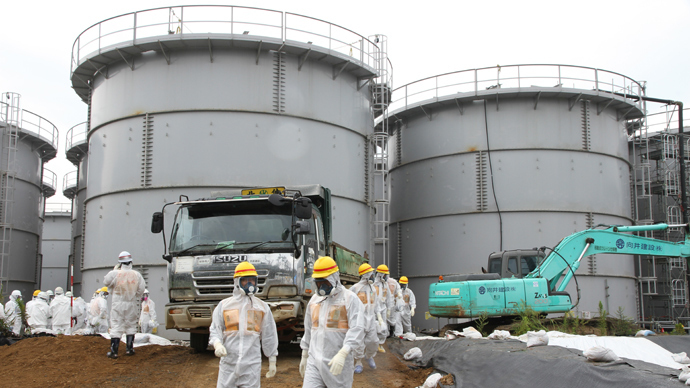 The problem is common to many of the thousands of cleanup workers, with little hope of TEPCO restoring any justice, according to the report. This is because Asia’s largest power utility is only the tip of an iceberg of firms, which has been the main complaint from workers associated with the cleanup. 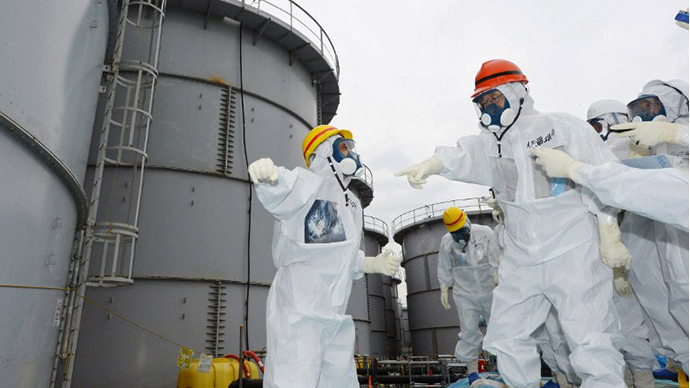 While TEPCO is in charge of the cleanup as a whole, it also comprises four giant Japanese corporations, otherwise known as the ‘Big Four’: Kajima, Obayashi, Shimizu Corp and Taisei Corp. These in turn provide hundreds of companies with funds and projects around the Fukushima prefecture, which end up receiving little to no supervision. Critics of the plant’s cleanup say that this unregulated hiring of workers through subcontractors opens them to the risk of rights violations, extortion and blackmail from organized crime syndicates. But the lawyers of workers from around the Fukushima prefecture say that even that is a good deal compared to being unemployed. After being advised by a journalist, Hayashi claims to have kept copies of his work records, including pictures and videos to back up his story. A worker shortage crisis continues to deepen at the same time – both inside the plant throughout the surrounding Fukushima prefecture. Government data suggests that the number of job openings exceeds the number of applicants by 25 percent. But despite research suggesting that raising the wages could bolster employment, TEPCO remains under pressure from the government to boost profits by March 2014. In response, the power utility has cutting workers’ wages at the plant by 20 percent. In this race to the bottom over workers’ rights and pay, many subcontractors with allegedly questionable connections gained control of the impoverished Fukushima prefecture’s market for cleanup jobs. It is those companies that have taken advantage of the staggering shortage of cleanup workers and allowed companies associated with the plant with alleged ties with Japan’s organized crime syndicates, the yakuza, to flourish. And there are close to 50 gangs affiliated with three major syndicates in the prefecture alone – a fact that had an effect on the local labor market long before the tragedy of March 2011. With subcontractors only focused on their own bottom line, their activities are not scrutinized by any governing authority. Worst of all, the subcontractors often have little or no experience in the nuclear cleanup sector. A survey earlier this year revealed that close to 70 percent of small firms provided with decontamination work contracts did not follow labor regulations. The fact was reported by the labor ministry in July. But Japanese Economy Minister Toshimitsu Motegi, who is in charge of decommissioning the plant, has claimed that he can only go so far in telling TEPCO to improve workers’ conditions. 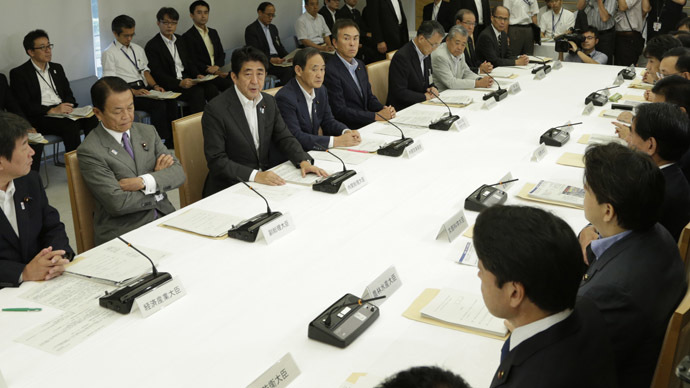 "To get work done, it's necessary to cooperate with a large number of companies," he said. When a police task force was set up to target criminal involvement in the cleanup efforts, huge amounts of money were found to have been embezzled. 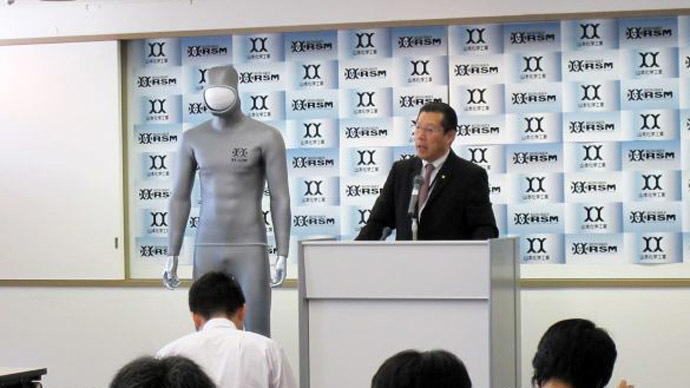 But akin to TEPCO’s apparent inability to supervise any activities outside its own immediate agreement with the government, a spokesman for Obayashi, one of the Big Four, claimed that the corporation “did not notice” that one of its subcontractors was hiring workers from the yakuza. TEPCO is also finding that decommissioning Fukushima is a particularly cumbersome task and a nightmare to oversee. The cooling system alone requires thousands of workers to daily maintain its operation, and has to deal with the equivalent of 130 Olympic-sized stadiums full of contaminated water each day. 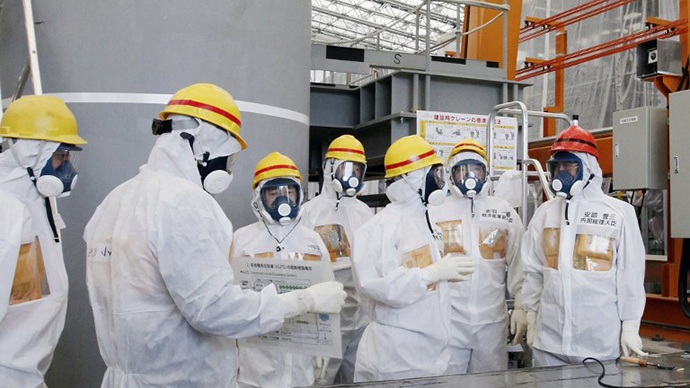 A total of 12,000 workers will need to be hired before 2015, TEPCO forecasts. That is in comparison to slightly more than 8,000 workers currently registered at the plant. Recently that number was 6,000. Making things even more complicated, the problems faced by Fukushima’s chaotic labor market have their roots dating back all to the 1970s. Japan’s nuclear industry has been relying on cheap labor for over four decades, often recruiting workers from impoverished areas around Tokyo and Osaka, which are awash with indigent men seeking employment. Hayashi is but one of an estimated 50,000 workers hired so far for the clean-up. These indigent workers, known colloquially as “nuclear gypsies,” are easy targets for subcontractors looking to hire workers on the cheap. And the fallout from the March 2011 Fukushima disaster only serves to highlight these long-standing issues. 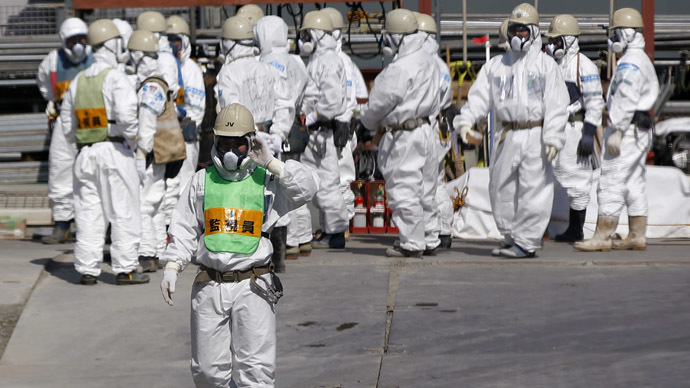 In the aftermath of the catastrophe, Japan’s parliament agreed to direct funds for the facility’s decontamination and closing. But the bill failed to include existing regulations applied to the construction industry. This detail meant that contractors supplying casual workers were not required to disclose their management practices or be subject to any background checks. Consequently, anyone could become a nuclear contractor, with neither TEPCO nor the government any the wiser. The contractors quickly rushed in to secure job deals, and to stay ahead of the competition they often used brokers to do the recruitment for them; naturally, without asking questions. In some cases, workers in debt to the yakuza would be hired, with brokers deducting their debts direct from their wage packets – often brown envelopes. What would follow was labor at sharply reduced wages, as the men worked tirelessly to pay back the brokers that hired them. The wages they were promised in the beginning are one-third below the national average. TEPCO does not publish its hourly rates, prompting Reuters to raise the issue with the workers themselves. Averaging $12 an hour, pay can dip as low as $6. Speaking to Reuters, Lake Barrett, a former US nuclear regulator and an advisor to TEPCO, said that changing the system quickly would be impossible. In other cases, workers have been known to be employed by one contractor, while managed by another. Workers complained to one court that they had been packed in small rooms, given their daily bowls of rice and – following a road accident, to get rid of their work uniforms and find separate hospitals to take care of them. And despite almost no oversight and widespread claims of gross rights violations, no company has yet been penalized. The revelations come on the heels of a string of mishaps at the troubled plant – some natural, others caused by human error. The cleanup has a upcoming operation in November – by far the riskiest to date. It will involve the extraction of 1,300 spent nuclear fuel rods from the cooling tanks suspended 18 meters above ground. The task will require absolutely precise coordination from all workers at the power plant, as each rod will be handled manually, not by a computer, as many of the rods are now tilted at an angle or not in their previous location. Any mistake, or a failure to move the rods without collisions, could result in a catastrophe bigger than Chernobyl, says Christopher Busby, an expert on the health effects of ionizing radiation and Scientific Secretary of the European Committee on Radiation Risk. The combined radioactive yield of the fuel rods is more than that of the nuclear bomb dropped on Hiroshima.